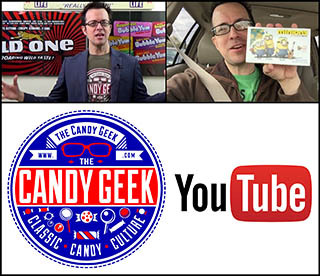 ← Necco’s Mummy Hearts – A Halloween Conversation Heart! 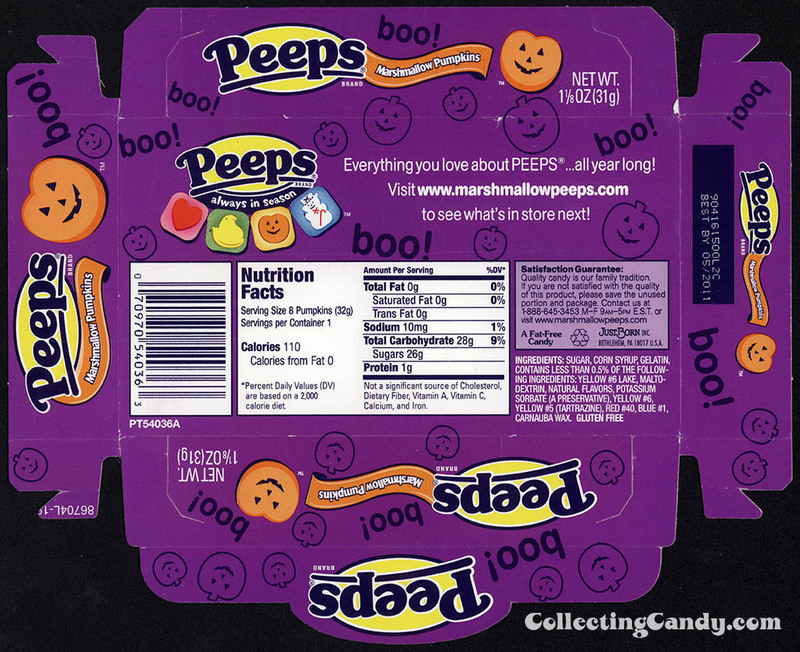 During 2013’s CountdownToHalloween, I dedicated a post to the Halloween-seasonal marshmallow Peeps known as Witchmallows. 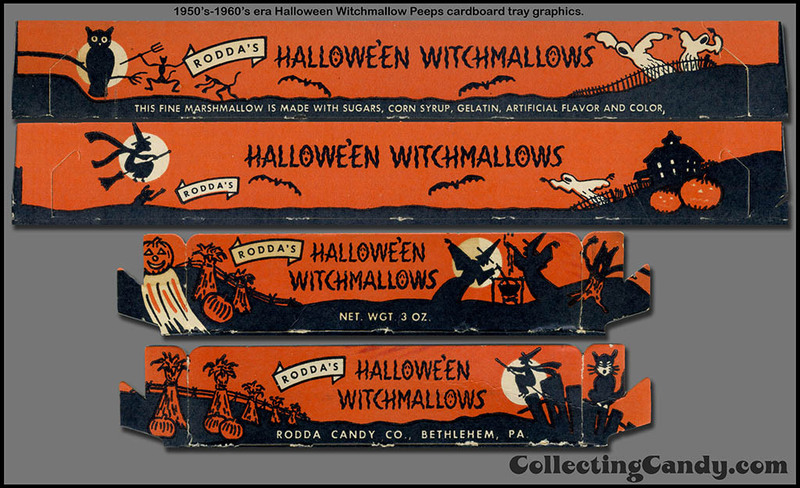 The packaging I featured was from the 1970’s and I had assumed that was about as far back as Witchmallows went. But recently I discovered an even older example dating back to the 1950’s. 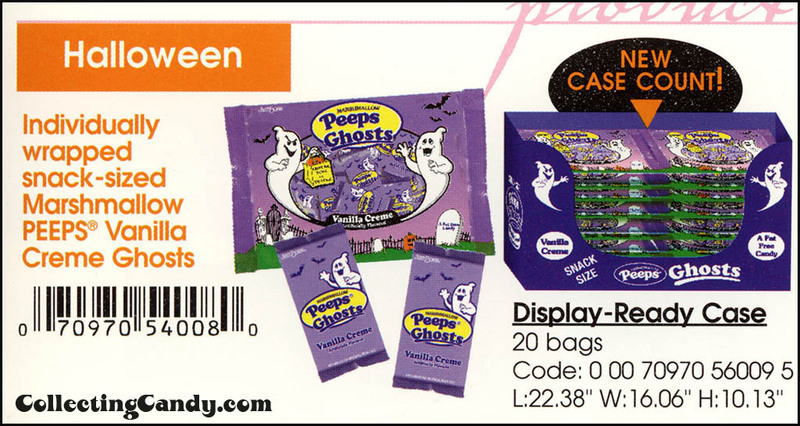 So make the jump to check out the oldest, spookiest Peeps yet! 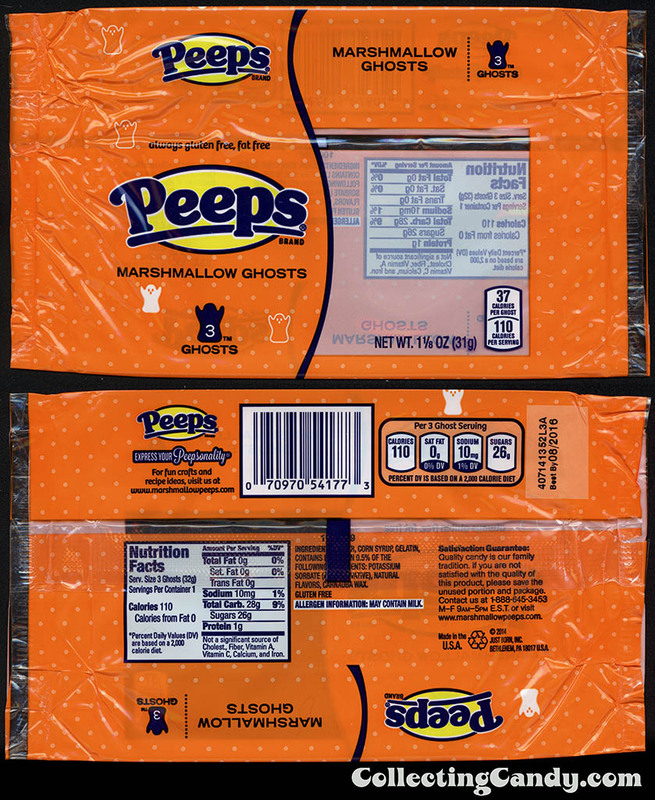 I’ve spoken about the 60-year history of Peeps on this site before, and even documented how they celebrated their 50th Anniversary back in 2003. 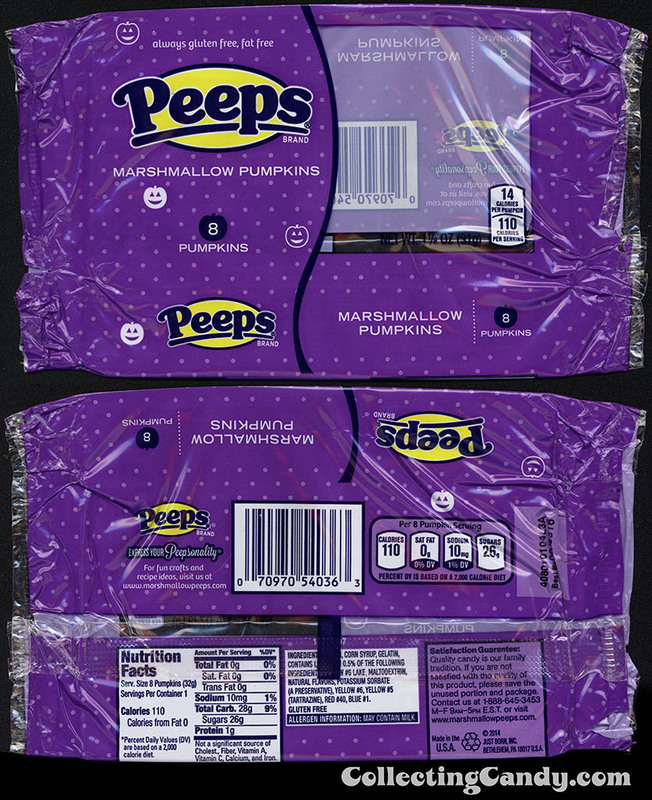 Seasonal Peeps have long been a part of the Peeps tradition, but it turns out they go back much farther than I would have ever guessed. 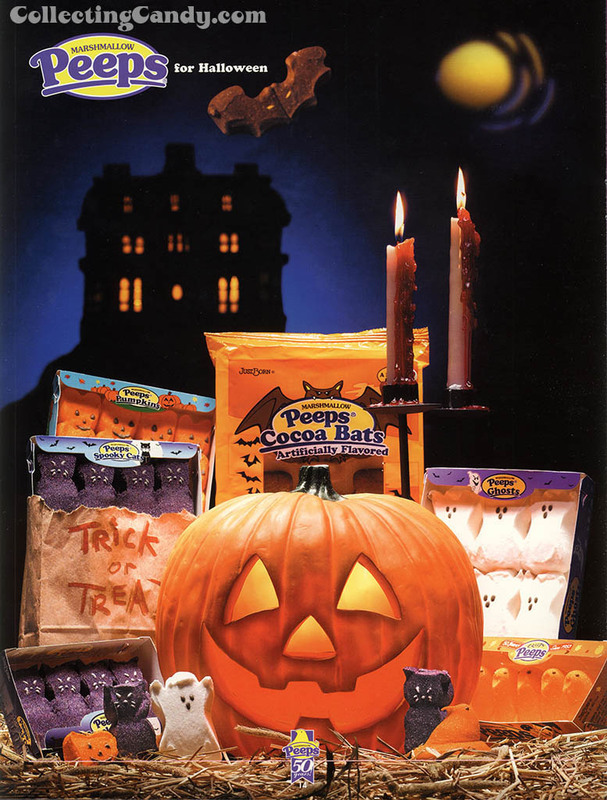 Now I’d like to showcase a few more bits of Halloween Peeps imagery from previous posts, as well as showcasing the new style of packaging that Halloween Peeps received for 2014. 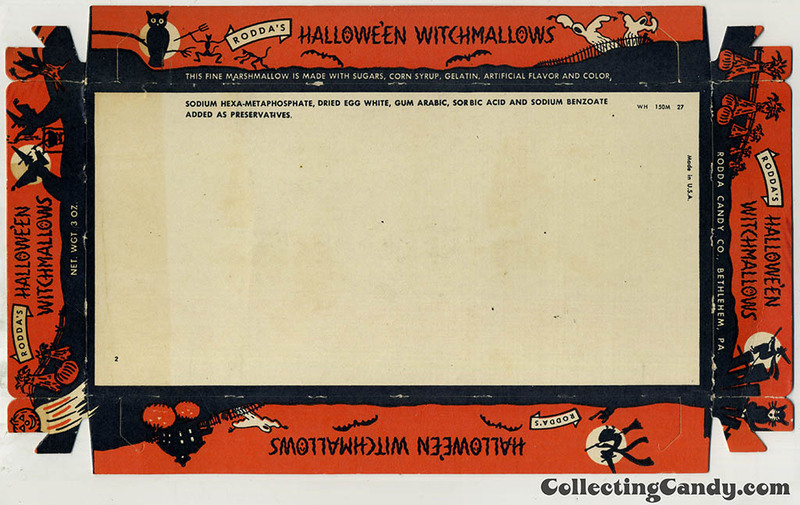 So that’s the new look of Halloween Peeps. What do you think? As for me, I think the new packaging looks modern and slick, though I’d be lying if I didn’t say that I’m going to miss the old-fashioned cardboard trays. 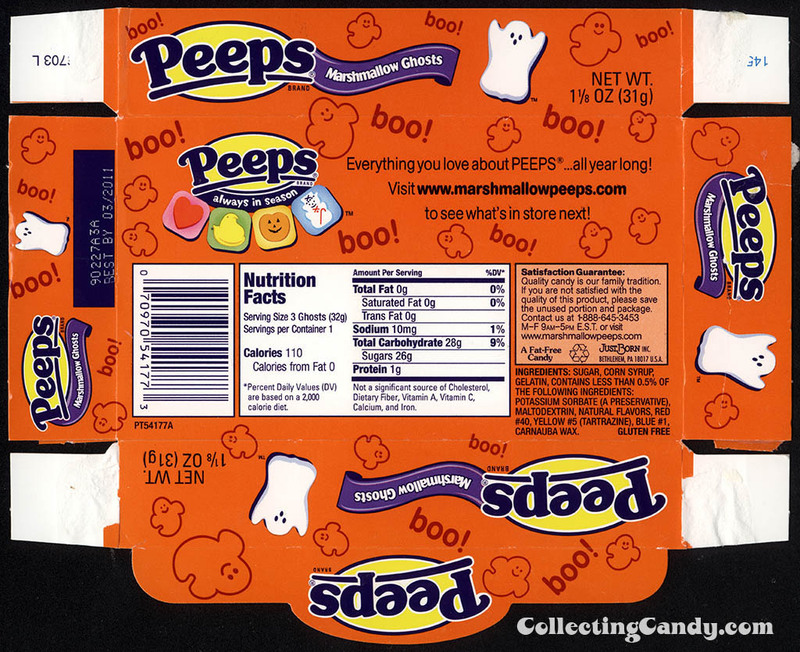 That’s everything for today’s post and our look back at the oldest Halloween Peeps ever discovered. See you next time! 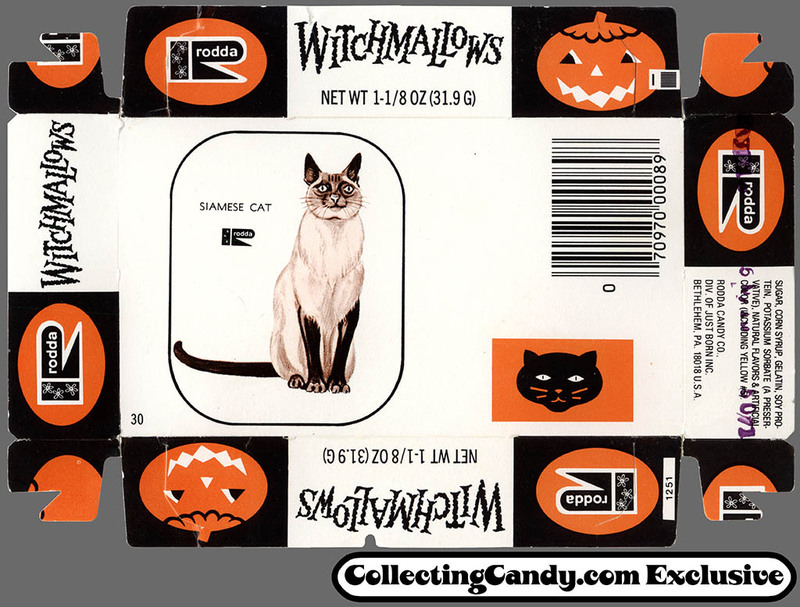 This entry was posted in 1950's, 1960's, 1970's, 1990's, CountdownToHalloween, Halloween and tagged candy collecting, candy collection, candy collector, candy wrapper collection, candy wrapper collector, collectible, collecting candy, confectionery, confections, food packaging, Halloween, Halloween candy, Just Born, marshmallow, packaging, Peeps, sweets, vintage candy wrapper, vintage Halloween, wrapper. Bookmark the permalink.